A German man who entirely by accident was spotted with $1 billion’s worth of Modernist and Renaissance art once looted by the Nazis, has caved in to a court decision to return the artworks to their rightful owners, or their successors. The billion-dollar art stash was discovered in February 2012, when Cornelius Gurlitt’s Munich and Salzburg homes were raided by German authorities on suspicion of tax evasion. The elderly man’s lawyers filed a complaint to prevent the seizure of all the paintings and sculptures in February 2014. But in a sudden reversal, the man’s lawyer said that his client is now willingly to part with his collection, which was “stolen or robbed from Jewish ownership,” Suddeutsche Zeitung reported Wednesday. There are a total of 238 pieces to be returned. One of the seized artworks in the Salzburg property is a painting by impressionist Claude Monet, rumored to be worth around 10 million euros, according to Austrian TV. And another piece, one considered to have been lost forever, is Monet’s “London Tower Bridge” from 1903. Among other works are paintings by Auguste Renoir and drawings by Gugain and Picasso. 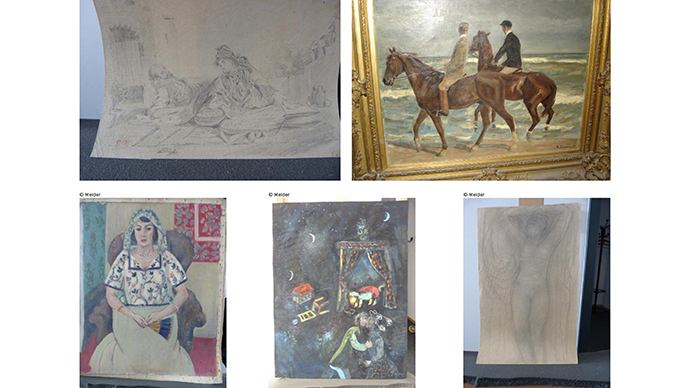 These constitute the majority of the art seized from the Salzburg apartment. All of the works confiscated on both properties are now being carefully catalogued and restored by professionals. According to Gurlitt’s own website, specialists will be performing an investigation into the Austrian home to determine the definite origin of the artworks. First in line for being returned is Henri Matisse’s masterpiece, “Sitting Woman,” acquired from a Jewish art collector from Paris, Paul Rosenberg. The work was once famously part of a collection belonging to Hermann Goering, the chief of the Luftwaffe, a key Hitler lieutenant and the top Nazi defendant in the Nuremberg war trials. 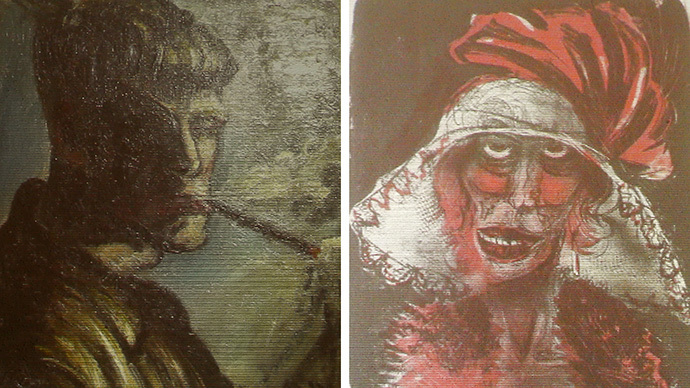 Other works will also be returned, Christoph Edel, Gurlitt’s lawyer, told German radio. The avid art hoarder’s collection was passed down to him from his father, a Nazi officer who directly took orders from Hitler to confiscate any “degenerate art” to fund the Nazis’ war effort. The raids on Gurlitt’s properties took place by mere coincidence, when he was stopped in 2010 by German customs when returning from Switzerland with a large amount of cash. The Gurlitt team is currently working out a restitution policy, with offers of contact details on the website for any potential claimants. The policy will be “based on the Washington principles that we will rely on in the future as a reasonable and uniform basis for negotiating with claimants,” Edel said.